Portia Zvavahera was born in Juru, Zimbabwe. She currently lives and works in Harare. 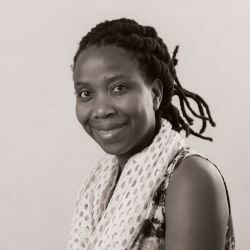 Between 2003 and 2005 she studied at the National Gallery BAT Workshop School (now the National Gallery School of Visual Art and Design) and in 2006 she obtained a Diploma in Visual Arts from Harare Polytechnic. 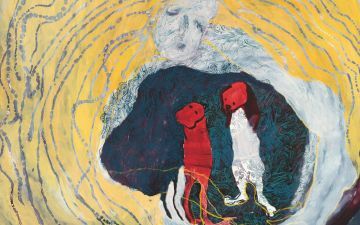 Using oil-based printing ink and oil bar on canvas, Zvavahera’s cathartic, large-scale paintings create thin (albeit layered) films between the worlds of dream and memory. The protagonists of her dreams are spiritual and ethereal renditions of mostly female figures. Zvavahera explains that the spirituality embodied in her dreamscapes refers to individual and communal rituals — a blend of indigenous and Afro-Apostolic sects of Zimbabwean beliefs and Christianity that are reflective of her cultural upbringing. 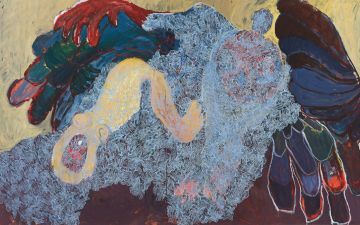 In the painting, What I Saw (2016) a struggle between spiritual forces takes place around the figure of a reclining woman, who is simultaneously under attack by a winged creature and protected by the veil of an angelic form. 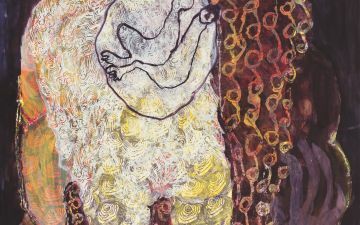 Similarly, in My Spirit With You (2017), two small figures resembling children are encircled in the embrace of a swirling protective force, at once motherly and otherworldly. 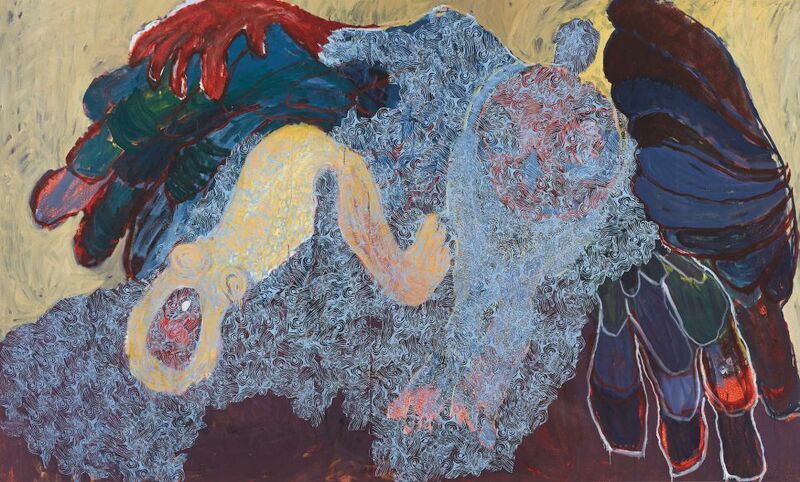 Portia Zvavahera’s works are featured in the Zeitz MOCAA exhibition, Five Bhobh – Painting at the End of an Era (2018 – 2019).